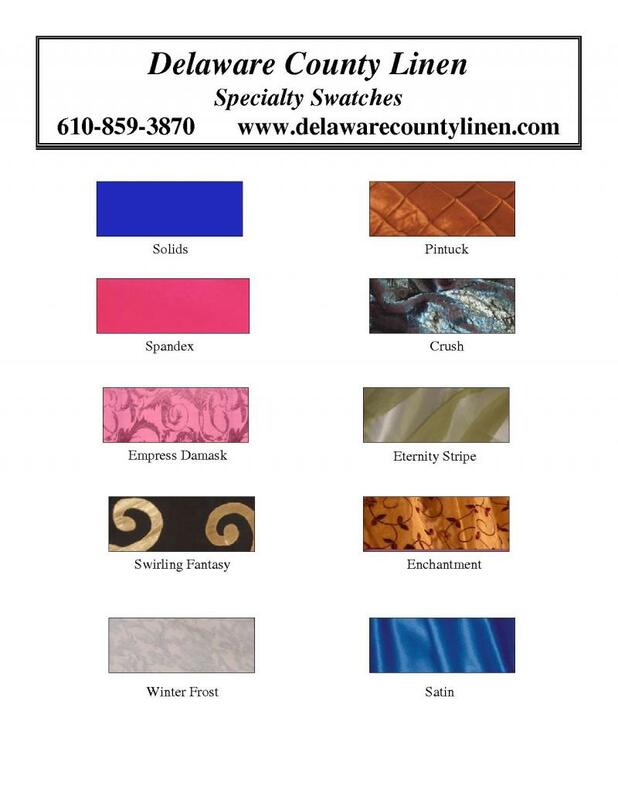 Here are just a few of the Specialty Linens that we offer. Call for more information! Click on the picture to the right to see more specialty linen selections.